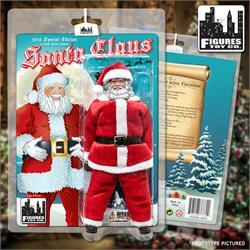 Figures Toy Company has brought you many action figures through the years. 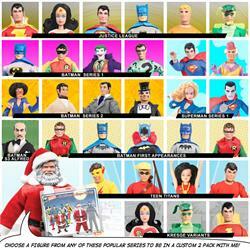 From comic book characters to pop culture icons, their retro figures have won the hearts of collectors across the world. Now, Figures Toy Company is set to release an action figure of one of the most beloved characters of all time: SANTA CLAUS! That's right, Santa himself is the latest character to be created in the 8 inch retro figure format. 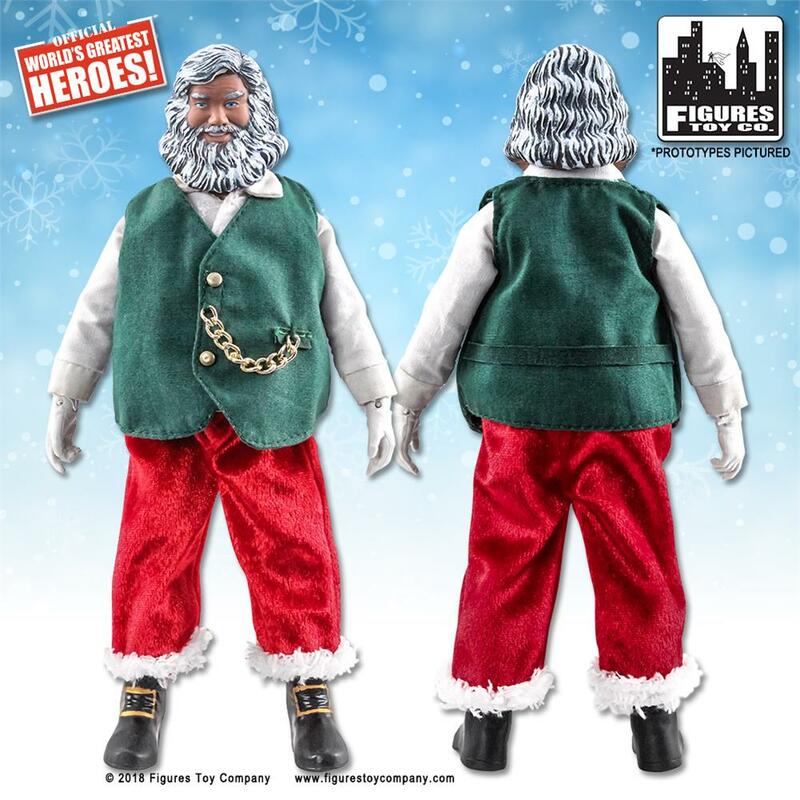 Figures Toy Company has released a special edition retro figure of Jolly Ol' St. Nick! 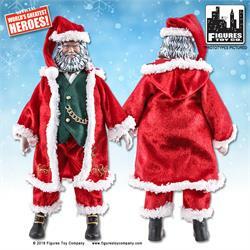 Santa will be dressed in a detailed cloth Santa suit, complete with hat and belt. 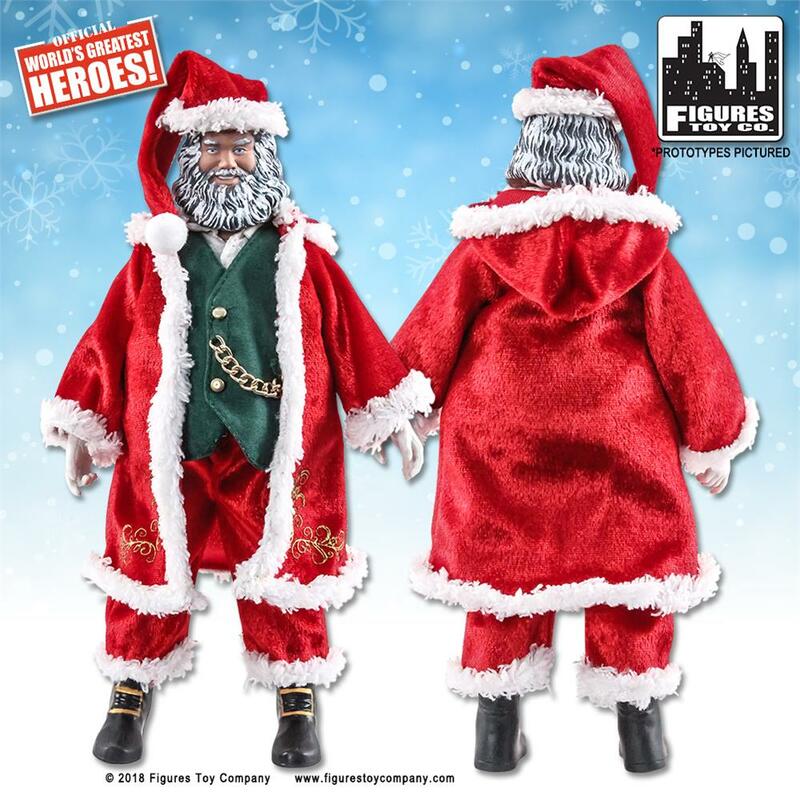 The detail on this Santa allows him to fall right in line with all of your Figures Toy Company superhero and superstar retro figures! 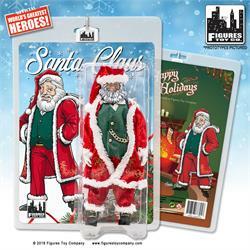 Comes inside of resealable plastic clamshell packaging.